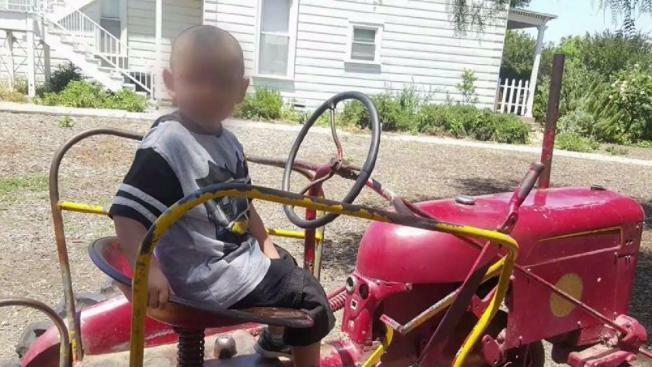 A mother's complaint that her 4-year-old son was struck by his teacher has prompted an investigation at a South Bay school. The Franklin-McKinley School District in San Jose is conducting an investigation into a woman's claim that her son told her a teacher hit him in his special needs preschool class at Stonegate Elementary School. The mother, Ninoshka Uribe, said she has pulled both of her children out of the school. "I want the best for him; I don't want him to be getting hit," Uribe said. Uribe said her son was nervous to go to school this year. He has autism and was placed in the special needs class at Stonegate. When she picked him up last Friday, Uribe noticed his face was red and swollen. "I go, 'Baby what happened to you?' He says 'Mommy, teacher hit, teacher hit. No school, no school,'" Uribe said. She complained to the school principal and the district and filed a police report. "I just want my son to get his education," Uribe said. "I didn't send him to school to get hit by the teacher. Now he's scared to go to school." The district said it is investigating the allegations. "Our number one priority is to ensure the safety and well-being of all of our students," district spokesperson Yelitza Pena said. "Gather information, gather facts, so that we're able to take necessary action to support our students." It's unclear if the teacher is still working at the school or what action the teacher could face if Uribe's claims prove true. Uribe worries her son will never want to go back to a classroom. "It's inhumane to hit any child, you know? Especially a special needs child," she said. "I don't think it's OK."
Uribe also said Tuesday that she is planning to home school her two children at least until the district finishes its investigation.